Anders Lindgren started his music career as a punk musician in his hometown Karlstad in the west of Sweden. His unlikely named group Ebe Johnsson’s Swing Quintet had a cult following and played frequently around Sweden. Anders soon moved to Stockholm where he hooked up with Ylva Håkansson and together they started 99th Floor. 99th Floor notorious for their live performances played the biggest festivals in Sweden and received tremendous airplay and TV (in Sweden and abroad). Lately, Anders has worked with movies, computers and music as a producer/arranger/director. His latest work is a musical collage for theatre. Lars Ryen was born and raised in Torsby, a small town in Sweden’s midwestern area. He sang and played in local rock bands before moving to Stockholm in his teens. Lars joined ”The Flames”, whose reputation as vocal wizards took them on the road all over Sweden. Lars then joined ”The Productions” a nine piece soul-pop-group including Lotta Engberg and Ulf Jansson, now stars in their own right. The band played clubs and festivals throughout Sweden. The next project for Lars was to form his own band, ”Touch,” a strong pop-combo performing original songs written by Lars. Radio stations loved “Touch” and they had significant airplay, helping the band get into the club and outdoor festival circuit. Staten (Swedish for “The Government”), where he did sound for their shows as well as doing some vocals and acting. Their “Monster Cabaret” was a big success in theatres and nightclubs in Stockholm. At approximately the same time, he formed “High Life”, combining the best ingredients from his previous bands into a fascinating mix of soul and straight ahead pop. They received great response from all types of media, especially radio stations who played their recordings heavily. Beat Goes On”, where he met Anders Lindgren. Together they formed the singer-songwriter duo “Lynden Rye”. 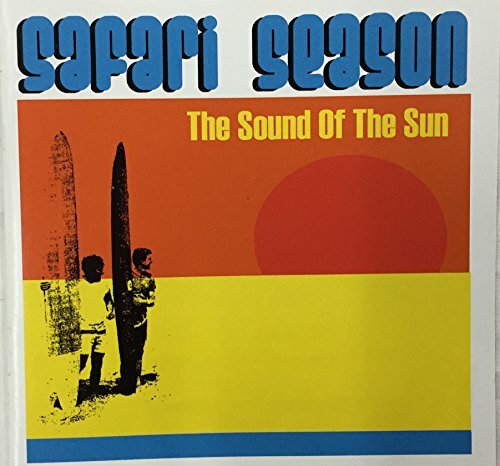 They recorded songs under the name “Shaved”, which evolved into the surf pop-group you’re now about to enjoy on their fabulous debut album: “The Sounds of the Sun” by Safari Season!! !